As a blogger, it happens all to frequently. I’m in the middle of writing a post, glance at the clock, and realize it’s 1PM – past lunchtime and my stomach knows it. At moments like those, I want something that is quick and easy to prepare; something that doesn’t require a huge amount of set-up or cooking time; something that I can eat NOW! With the new Land O’Frost Wrap Kits, I can get a delicious and filling wrap in moments. 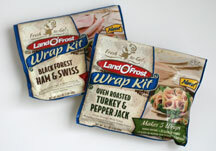 Land O’Frost recently introduced a wrap kit, providing consumers with a convenient solution for quick, tasty meals. 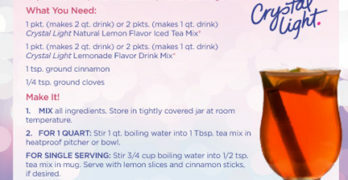 It received great feedback and has since expanded to store shelves across the United States. 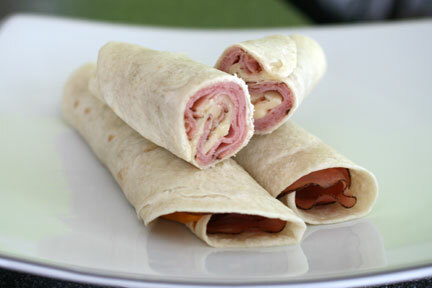 The wrap kits come in different varieties: Oven Roasted Turkey & Pepper Jack and Black Forest Ham & Swiss. Each kit contains lunchmeat, cheese, and tortillas. Off the bat, one of the things that I like about the Land O’Frost wrap kits are that they contain everything that I need to make a wrap. Each kit contains 5 tortillas, 25 slices of meat (5 slices per wrap) and 5 large slices of cheese, which gives you 5 wraps for each kit. With all of the ingredients conveniently packaged in one bag, you don’t have to dig around and pull out different bags and containers in order to make the wraps. The only thing that isn’t included in the wraps are condiments, but grabbing a bottle of Miracle Whip out of the fridge is easy enough. 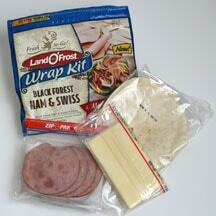 I thoroughly enjoyed the Land O’Frost Wrap kits. 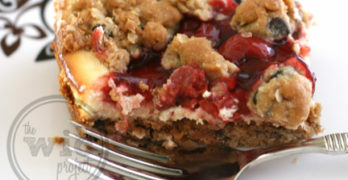 The slices of meat are meaty and not thin or flimsy, and there is just the right amount of cheese. All of the ingredients looked and tasted like they were quality products, so you know you’re making a good wrap when you roll it up. Since the wrap kits contain all the ingredients for a wrap, that also makes them a great idea for picnics and outdoor family events. Instead of toting around a big bucket of chicken, you can just bring a Land O’Frost wrap kit and make your own wraps while on the go. In less than a minute from start to finish, you have a great wrap that is perfect for a quick lunch, picnicing, or even slice it up for party appetizers. 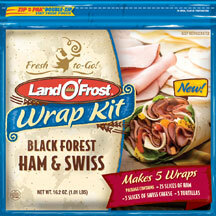 Land O’Frost Wrap Kits are available in stores now. Before you head to the store, make sure you grab a$1 off coupon to save on your next wrap purchase!